I kicked the day off chatting to Russell Cottier on Facebook Live – and, joined Lij Shaw’s Recording Studio Rockstars channel along with a few other audio blogging, podcasting and Youtuber friends for an informal discussion about the topic – you can watch the replay here. This meme was inspired by Chris Pavey from Chris Pavey Mastering. 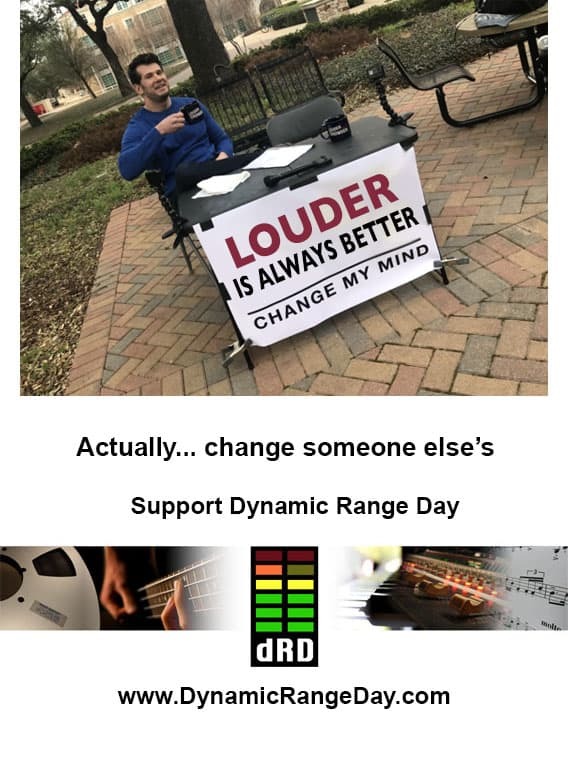 Louder always sounds better ? 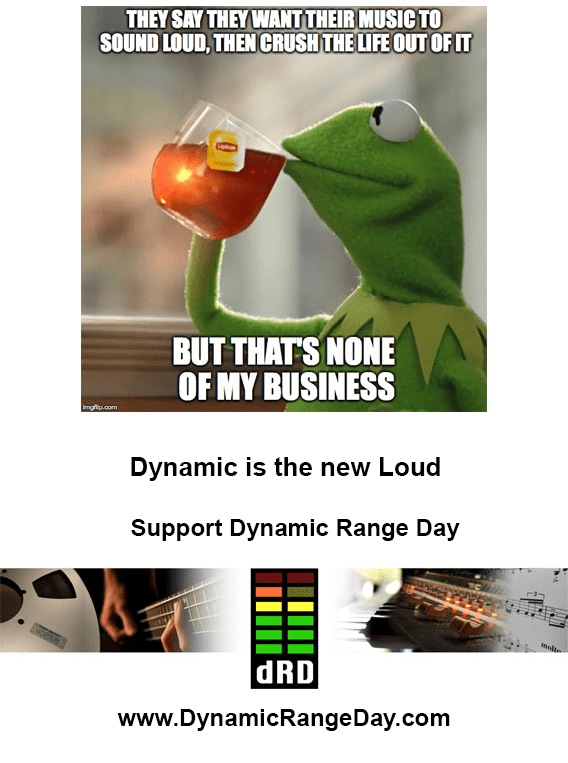 Dynamic Range Day 2017 is on March 31st – Start NOW ! 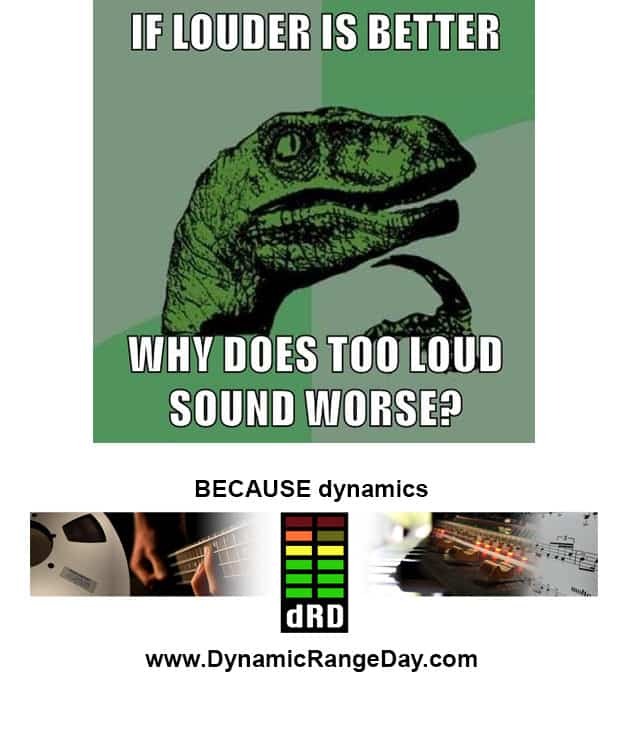 Dynamic Range Day 2017 is at the end of March – if you’d like to be involved, please take action now. Every year I encourage people to write blog posts, take the challenge, share memes and interact, and this year is no different. What is different is that I’d like you to start doing all those things now. If we wait, the risk is there’s a flurry of activity on the day, people get interested… and then it’s over. Opportunity missed. Because if you start talking about it now, there’s time for word to spread, and for even more people to be actively involved on the day. Which is what it’s all about. So, stop what you’re doing, right now ! First – share this post somewhere – anywhere – with a message saying you support the event. Next – look at your calendar. Pick a time this week, and mark in some time for “DRD promo”. Whatever you can spare – an hour here, an hour there – whatever. When the time comes, do something. Email some friends, post on Facebook, Twitter or Instagram, record a short video clip on your phone saying what DRD is and why you support it, why you’re taking the challenge, whatever – and share. Spread the word about what you’ve done as far as you can, and post it on the DRD Facebook page so we can re-share it. That’s it ! Job done. Except – before you go – maybe pick another time in your calendar, and do it again ?! Thanks for reading, and thanks for being part of this. Please share this page far and wide ! Youtube have started using “loudness normalisation” – so that everything plays back at a similar volume, no matter how hard it was pushed in the recording, mixing or mastering. It’s like having your own personal DJ, making sure you don’t have to keep reaching for the volume control. 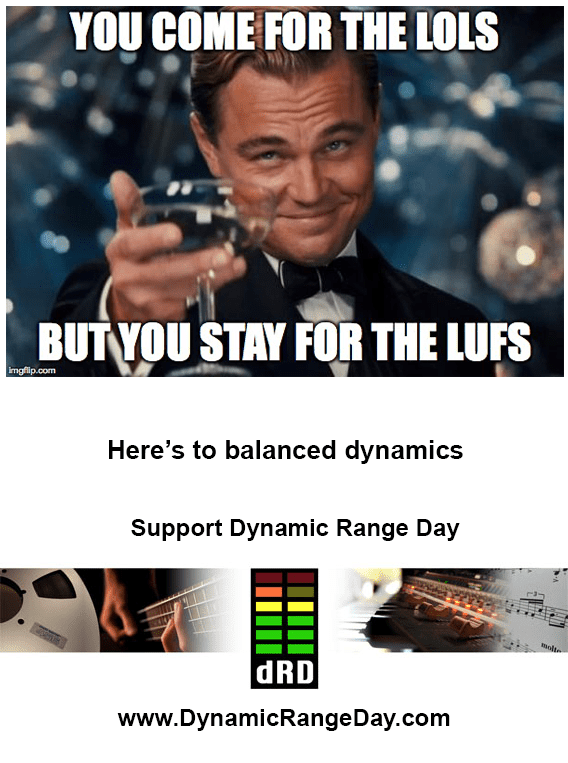 And it cancels out the effects of the loudness war in a single stroke. YouTube versus the Loudness War – and why music wins. YouTube just put the final nail in the Loudness War’s coffin. For a slightly more detailed explanation, click here. Even Skrillex sounds better with more dynamics ! (And even on mobile phones) Click here to find out more. Do broadcast loudness meters matter in mixing and mastering ? Ian Shepherd and MeterPlugs have announced the release of Perception, a new loudness-matching plug-in in VST, AU and AAX formats for Windows and Mac OS X. Perception is a “one click reality check” for mastering and mixing, allowing synchronized, realtime “before and after” comparisons of any audio processing chain, loudness-matched using the new EBU R128 standard. 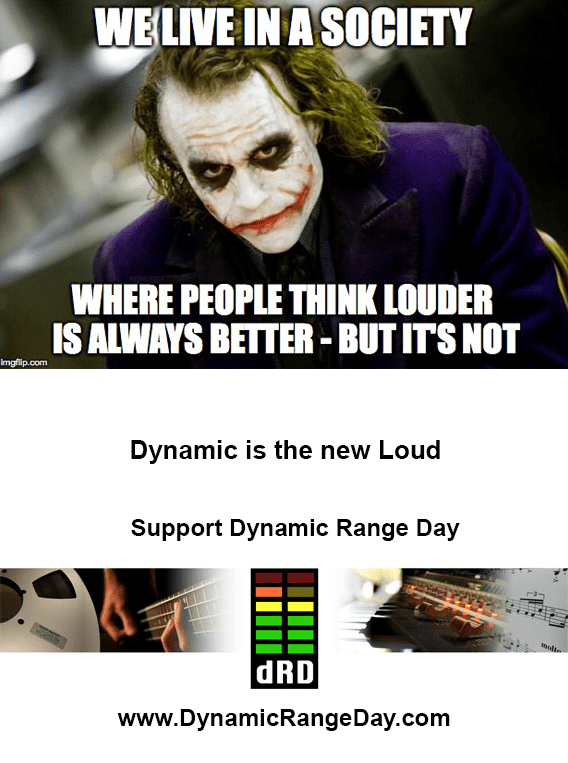 Excuse the Pun, Have the Loudness Wars Peaked? – Article from CE Pro. U2′s surprising secret for sounding loud in the 21st century.